Nice work, J6. 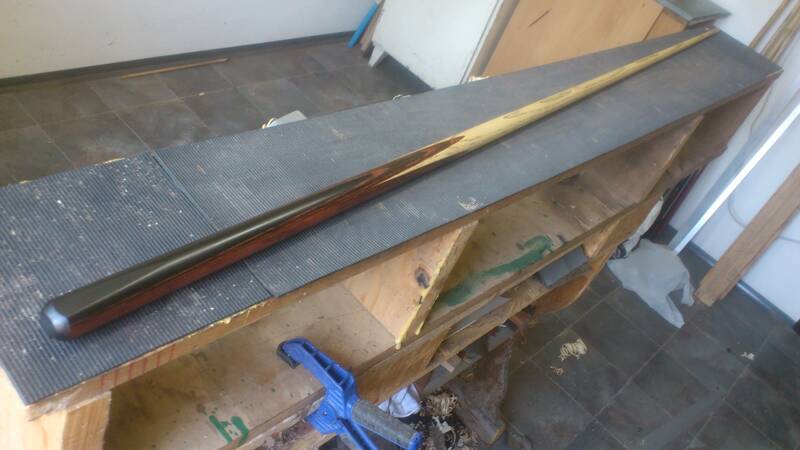 That cue is a beauty.. Looking forward to the new thread. Need J to be less busy , got a couple of cues that i want him to re-finish . The bitter taste of poor quality remains long after the sweetness of low price is forgotten. This is how you play darts ,MVG two nines in the same match!